Spectacle Eyeworks - Spectacle Eyeworks has a reputation for producing premium quality frames displaying ingenuity in design, unparalleled to any other company in the industry. The owner and designer from Vancouver, B.C. demonstrates limitless creativity to shatter the boundaries of conventionalism and to take inventiveness to a higher level with a determination to provide only the absolute best in quality, efficiency, and innovativeness. 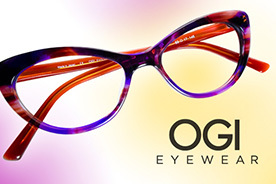 Ogi Eyewear - Ogi eyewear is quickly becoming an industry leader in the fashion optical market due to their constant commitment to high quality, on-trend designs and unprecedented price points. A synergy of talent, fashion, new technology and affordability continues to create a solid foundation for Ogi's success. Styles from the new collection are bold, contemporary eyewear pieces designed to stand apart from the prevailing styles. These new models deliver style and substance through the use of premium materials and diligently placed details resulting in eyewear that is unrivaled for its design and value. 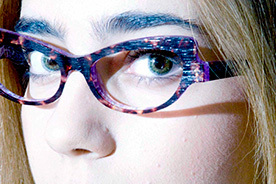 Utilizing the finest materials and components from international locales, Ogi creates unique eyewear collections sold only by select optical retailers worldwide. ProDesign – Clean Danish design is the basis of our products but we always add a twist of something surprising – something unexpected. We aim to balance classic and clean with bold and bright to continuously keep classic styles updated. 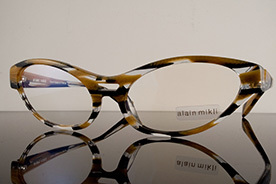 The most important thing is always to create eyewear that dresses the face. The frame and the face must interact to obtain a beautiful and harmonic look. We never strive for creating a design object that demands all the attention but rather a piece of eyewear that completes and enhances the lines of the face. Tom Ford – Tom Ford is among the most highly respected and successful designers today. The winner of numerous design awards, his rise in fashion began in 1994, when he became creative director of Gucci. Not only did he dramatically change the image of the legendary fashion house, he also led the company to unprecedented success with his visionary insight into what the modern consumer desires. His innovative and provocative designs set the tone for an entirely new direction in the world of luxury goods. In 2000, Ford also took creative control of Yves Saint Laurent, a Gucci Group brand, reviving it with his trademark combination of sensuality and mystique. 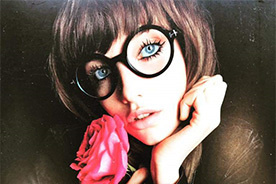 Tom Ford frames have a unique style all of their own. Taking what he learned from working with Gucci Fashion and putting it into Tom Ford Fashion for both men and women, his eyeglass frames and sunglasses stand out from the crowd. Neubau – In Vienna, Neubau, the 7th district is that kind of place, a fertile breeding ground for innovative and challenging ideas, from fashion to music and contemporary arts. Much more than just a hipster hangout, Neubau is Vienna’s archetypal hub of urban creativity where every other door plate and every hidden courtyard will lead you to some photographer’s studio or designer’s workshop. 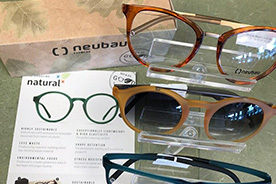 It is also the spiritual home of Neubau eyewear, not in a localized sense, but in the distinctive way the brand celebrates a vibe, an attitude and a state of mind that you will find in quarters like this in cities all over the world. The vision behind Neubau eyewear is to create the ideal meeting of superior design and high quality Austrian manufacturing. But let's not get carried away: At the end of the day it all simply adds up to an effortlessly chic, light pair of glasses, tailored to the needs of a discerning modern urban audience. Ray-Ban – Ray-Ban expresses tradition, freedom and originality through unique and unmistakable style. These fundamental values have ensured its position as world leader in sun and optical eyewear since 1937. Chosen for American Air Force pilots during the Second World War, Ray-Ban became famous for functionality and effective protection from the sun. Ultra-light frames, and the innovative green lenses to absorb infrared and ultraviolet rays, brought the brand acclaim and enduring success. As in the past, Ray-Ban continues to offer quality and authenticity in each new collection, with brand new details all designed to offer style and comfort. Rudy Project – Technology and advanced science are at the heart of Rudy Project. This is a great line for the sports enthusiast or anyone looking for "technically cool" streetwear. They use unique materials and manufacturing techniques to create lightweight, functional and extremely comfortable products. Always at the forefront of technology, the lenses enhance visual acuity. 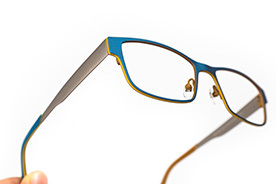 These glasses feature total comfort and adjustability, a variety of sport-specific frames and lens colors, and athlete tested products of unique lightweight materials. Many of these frames can be done with a prescription. Roger Eye Design – Roger Eye Design is founded in 2007 by Roger Hoppenbrouwers. Roger started RED from an optician's point of view, with over 25 years of experience and a nose for trends. Because of the overall standard sizes by the big design houses, he bumped into a shortage of smaller- and "progressive" sizes. Well what developed was a simple solution for a creative mind. A new brand was born "ROGER. The "ROGER" collection is an easy and fashionable eyewear collection with soft shapes, exciting colors and high quality materials, made according to the newest techniques. Simple shapes put into an exciting frame.